As we walk along the roads of Delhi, there are some entities calling us and crying out for help. They are moaning of the dreadful death we are thrusting on them from suffocation and starvation, slowly and painfully. We cannot hear them because they cannot speak. They receive our attention only when the services they render to us start falling short for us. Yes! I am talking about those magical devices on the sides of roads, in front of shops, in our backyards, around our institutions, in areas of traffic, which keep imbibing the notorious carbon dioxide for us and continue to give oxygen that we terribly need. Our Trees! This time the concrete is killing them, a dire threat to the survival of the same entities that give us food and oxygen. Trees are choking to death, their roots cannot breathe, we have left no space for water to percolate in the soil, it just falls on and only on the concrete around them. Each day we pass by and trample their living concrete graves, they are dying. Some are already dead. Concretization of both the land and that of our ardently selfish lives have killed them. Unfortunately, the story is not new. Concretization did not happen today, yesterday or the day before. It is an old tale, with twists, turns and enigmatic implications. Five years back, there were people who saw those invisible tears, organisations who heard their inaudible moaning, activists who empathized with their unspoken agony. This did culminate in the form of a petition in NGT (National Green Tribunal) back in 2013. 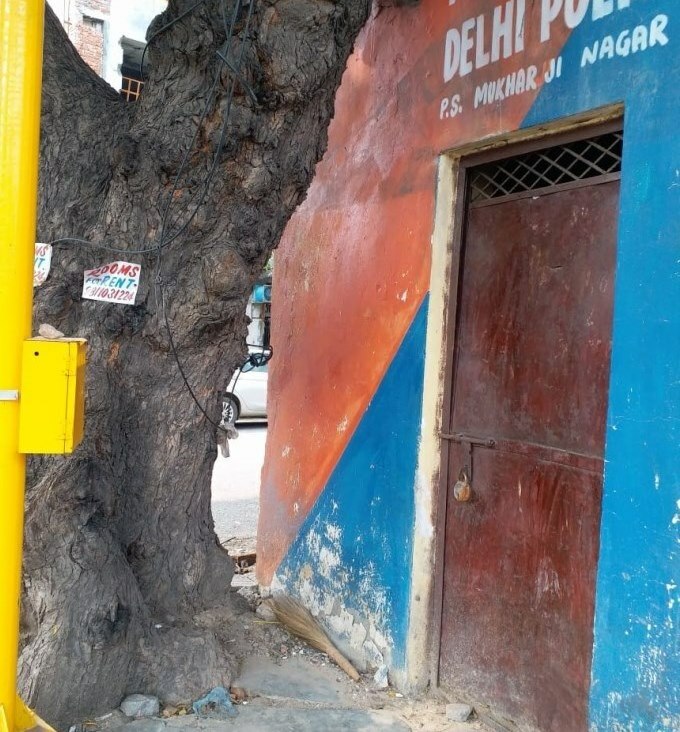 The magnanimous court not only prohibited concretization of trees within 1 m from their bases and ordered to include this in contracts of those who develop pavements in Delhi but also ordered de-concretization of all trees in the colonies of NCT. The judgement was indeed invigorating. In 2013, the Delhi Greens Blog had lauded the NGT decision for de-concretization and had written, “The trees are winning, let us keep the fight on!” Woefully, the fight still continues and the trees are far from winning yet. It was an illusionary hope we saw five years back then. Even then the NGT had to reiterate the order on several occasions in several forms. On 23rd of April, 2013 the NGT directed the removal of signage, electric wires and high-tension cables from the trees forthwith and also the de-concretization of area within 1 m radius of trunk of the trees. The agencies which were required to comply either never understood the intentions behind the order or were never bothered about it. Little wonder that two large Peepal trees in Chittaranjan Park crashed after the corporation used JCB machines to break the concrete Contractors bulldozing through the concrete in other areas too, ended up hurting the trees in the process. This again raised plangent voices from the activists. As a result, NGT again had to threaten on 8th of August, 2013 that the operating person of the machine and the Executive Engineer under whose jurisdiction the de-concretization is carried out will be personally liable to pay the compensation if any damage is done to the trees. On 12th March, 2014 NGT again ordered the removal of debris and other private lodging around the trees so that the tree gets enough aeration. These constant remarks from the Court could not stop civic agencies from damaging the trees in their other ventures. And thus, NGT again had to intervene on 23rd April, 2014 that during constructions of storm water drains, root protection should be ensured and since after the so-called de-concretization cavities were just left out so the Court also had to order the filling of exposed portion with soil immediately. Are we not witnessing open mockery of the Court’s decisions? When authorities are extremely reluctant to do what they ought to even after Court’s constant order, when Court itself provides several guidelines and all the steps which should be taken in the process of compliance, is that not amusing in itself? A Circular was again issued in this matter on 3rd March 2015 by the Department of Forest and Wildlife of the Govt. of NCT of Delhi. Due to mass disobedience which was shown in this particular case, the Tree Authority directed all land-owning/ civic agencies through a meeting held on 19th December, 2017 to submit a Report of Compliance of de-concretization within their respective jurisdiction. 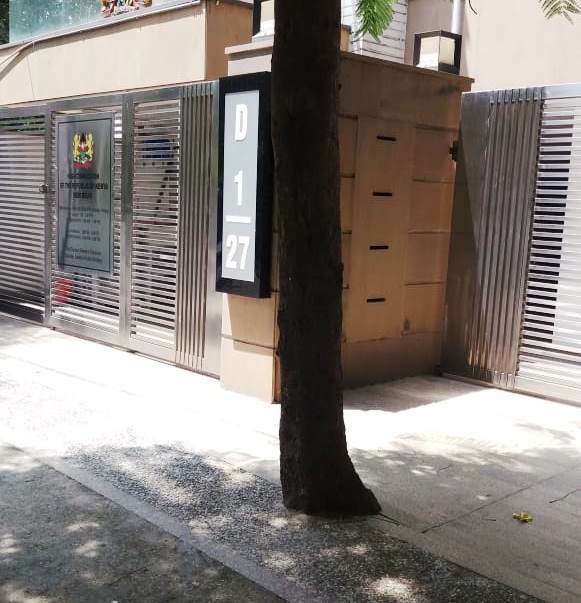 Now after having read this, go out and look around, I bet you will not be needing to search for trees which are not de-concretized but you would be really lucky to find trees whose aeration are not stymied by concrete. Of course, the Court’s order has not been fully carried out yet. It seems the debris is not only around the roots of the trees but also in the minds of the various agency heads. Just like trees are concretized, the negligence of these agencies is concretized too. The question is who needs de-concretization first? First image by author from North Delhi. Second image from South Delhi by Padmavati Dwivedi. Ujala Mall is pursuing an undergraduate degree at the University of Delhi and plans to use her first year in Delhi to become better acquainted with this city of cities. Natural environment can be preserved and social and cultural environment can be made progressive. You have made a rigorous research work backed with adequate and relevant data. EXCELLENT. Natural environment provides a new atmosphere for humanity…those students who devote for creating as type of environment for progressive human being in future ..it gives the relief for human being…I support every students who interested for cleaning the atmosphere I stand with them. Be happy and give cleaniess of physical and spiritual life…Thanks those student who progressed for this field..l develop a new ideology..